Lewes Neighbourhood Plan – submit your views by Mon 23rd July! Lewes Town Council have prepared a Neighbourhood Development Plan for Lewes. Further details of the neighbourhood plan preparation are available at the Lewes Neighbourhood Plan webpage. On 14 June 2018 I attended the National Park Planning Committee meeting, over in Midhurst, and spoke on 5 planning applications concerning (Click here to see the agenda/reports) the land and buildings at the Old Racecourse, Lewes. I voiced my concern on all 5 applications. I asked the SDNPA Planning Committee to refuse them all. This is an update from Lewes District Councillor Vic Ient for residents in Kingston Ward. It concerns planning matters in the parish of St Ann Without at the Old Racecourse. This blog may also be of interest to people who live in Lewes. 4 out of the 5 applications were refused but there is long way to go in resolving the un-authorised erection of fencing, see the report below from Lewes Eye. Footpath and bridleway rights of way issues weren’t discussed as ESCC are the responsible authority for Rights of Way. By Chris Smith: The South Downs National Park planning committee has turned down a load of planning applications at Lewes Racecourse including plans for loads of fencing and a cinder road, much of it already in place. The only thing that they agreed to was the retention of a crucifix that has been put up near the main track up to the racecourse. Vic lent, the district council member for the area and Robert Cheesman of the Friends of Lewes spoke strongly against the applications being granted. The Open Spaces Society, the South Downs Society and many others submitted written objections. But there is no reason why the road shown in the picture should not now be taken up. In most planning applications and enforcement cases, connected with the Old Racecourse, we have seen recently the land ownership is spread across 3 parishes, Hamsey, Lewes (Lewes Town Council) and St Ann Without. I believe that the local authority should consult all 3 parishes. This has not been the case to my knowledge. Hopefully in future planning applications the National Park and Lewes District council will ensure they notify all 3 parishes of future planning applications. Here is an update for on the C7 Safety campaign group. In July 2015 I reported that the Parishes of the Lower Ouse (POLO) had supported me in the setting up of a working group for all of the residents in the parishes in the lower Ouse Valley to investigate solutions to the problems of safety and traffic calming all along the C7 road. During 2015/2016 a number of workshop meetings were held with residents & parishes to document the issues. Comments and suggestions were documented in a series of drawings and list. I circulated and publish this information in January 2017. Click here to see the charts and report. Are willing to help the community find a suitable highways design consultancy who could put together a safety and traffic calming strategy for the C7. ESCC have promised to send a list of consultants we may wish to work with. Are going to carry out a survey this summer of the whole road detailing minor improvements and maintenance upgrades for things like signs & markings. This survey will also refer to possible other minor improvements for safety purposes. Once this survey is complete quotations will be obtained from their approved contractor and a proposal for implementation will be submitted (internally in the ESCC) so that work can go ahead. Are willing to attend one of our workshop meetings to discuss their comments. We have agreed a date of the 2nd August at 6 PM. Please join us. please send an email to me & I will confirm the venue. This meeting is open to all the parishes and residents in the valley. However we can’t just rely on progressing things through one small department in the ESCC. As I have said before, the community needs to lead on this issue and produce a strategy and a plan for implementing safety and traffic calming measures. I have already proposed the production of a safety strategy document for the road which should be accompanied by a design/finance plan. As members of POLO may remember a proposal to engage a design consultant was discussed last year and the POLO Clerk put out a request to the parishes to support the cost of producing the design document bearing in mind that the district council (click here for further info) had agreed to fund 50% of the £2000 cost. I am not sure which parishes agreed to help with the cost or if the particular consultant proposed is still the preferred supplier. Rationale behind a strategy & financial plan: Some improvements will come through the normal county council maintenance budget. Residents just need to make sure they report maintenance items but other measures will be more costly and will require funding from the county council, parishes or/and from a combination of organisations, possibly including the Local Enterprise Partnership (which deals with applications for funding locally on behalf of the government) or/and from special charities and other organisations. all of these organisations will require an application proposal and an estimate of costs. That is why we need a strategy plan and financial costings . Once we have these we can approach the organisations for funding . Hopefully we will be able to do this in by this autumn such that funds can be allocated in the next financial year ( 2018/19). I will continue to work on the C7 safety issues and I am pleased to say that Joe Attwood (joe.attwood@btinternet.com) has volunteered to become the C7 Safety project coordinator. I’m looking forward to working with him to produce the safety plan for the road. We have set up a workshop meeting for 5 July at 6 PM. Please join us. Please send an email to me & I will confirm the venue. This meeting is open to all the parishes and residents in the valley. Sources of Finance: Hopefully we will be able to find a volunteer who can research the different sources of funding. There may be just a short window of time available for applications to the EU as existing programmes run to the year 2020. However, apart from the county council, we will need some research into how one makes applications to the Local Enterprise Partnership. Parish Councils: In parallel to this initiative the parishes (​Kingston, Iford, Rodmell, Southease & Piddinghoe) and residents association (Kingston Road) continue with their own actions. I hope residents will discuss safety and traffic calming measures with their own parish council or association. Enforcing the weight & width restriction: Luckily past councillors for the ward got a weight restriction implemented for the C7. A width restriction exists on the C324 through Kingston. Some residents feel these regulations are being broken. Ways of reporting and enforcement could be discussed by all the parishes. Road: I’m following up on the future of the A27 especially the section from the Ashcombe roundabout to Beddingham. 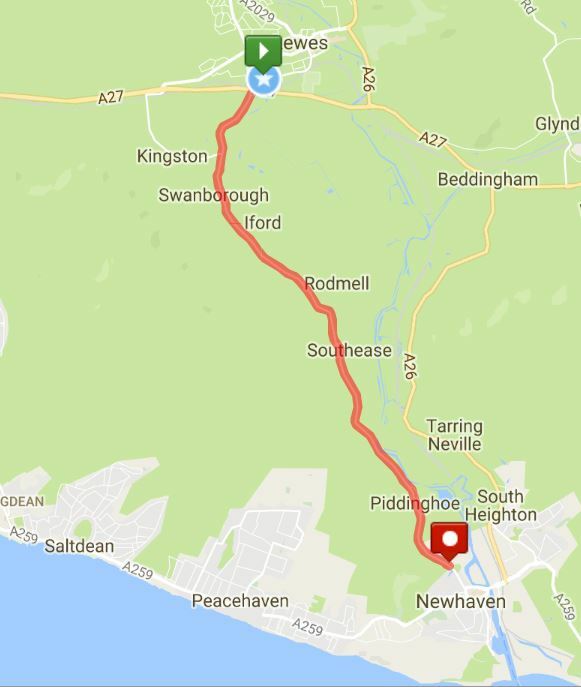 Whether or not the A27 is turned into a motorway east of Lewes changes are needed to the three roundabouts at Ashcombe, Southerham & Beddingham to encourage the traffic to take the A26 to Seaford and Newhaven rather than the C7. I’m attending a seminar with Highways England on 10 July in London to follow this up. Rail: I’ve already put my views forward concerning the reopening of the Lewes to Uckfield line. I am continuing to follow this up and support the initiative by Railfuture. Also I would like to see, linked parking/ticketing initiatives at stations in Sussex to persuade drivers to take the train. As some of you will know a planning application has been submitted and approved for holiday lodges next to the fishing lakes in Swanborough. Click here to see my report. Kingston School expansion get the go-ahead! Expansion of a micro-brewery to enable increased production of their specialist craft beers. The Central Sussex and Sussex Downs & Coastal Plain Local Action Groups (LAGs) have a total of £2.5 million to support projects in rural West Sussex and Lewes District. With the reduction of Government funding for highways and associated footpaths more responsibility falls on parish councils. ESCC operates a ‘matched funding’ scheme. This scheme helps parishes part pay for improvements with the balance coming from the County Council. The Institute of Fundraising is the professional membership body for UK fundraising. Their mission is to support fundraisers. You may be wondering what has happened to the development of the South Downs National Park Local Plan. 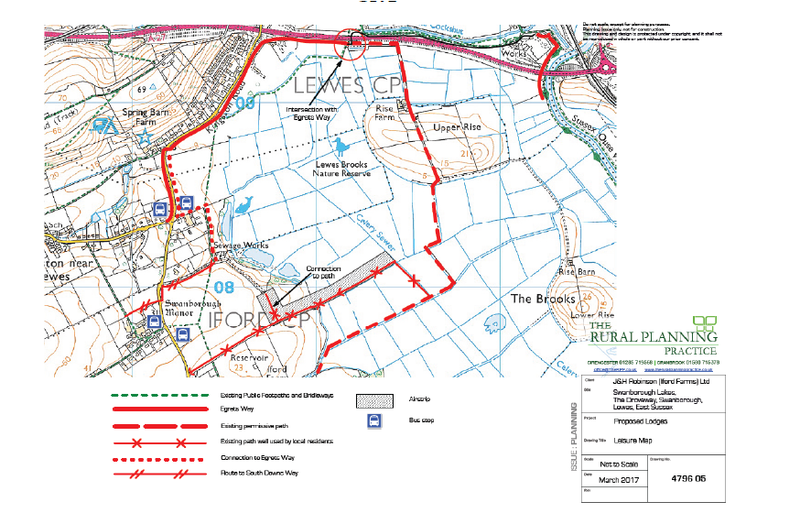 It is the most important planning document locally in Sussex within the park boundary. The importance of the ‘Sanford principle’ in protecting national parks, key statutory duties of national parks and the importance of planning enforcement. I hope this information will help those wishing to protect the national park in dealing with planning applications and potential planning infringements. If national parks are important to you please read on……..